There are many real estate investors who are utilizing traditional lender programs. With interest rates continuing to slide this has become an increasingly viable option. 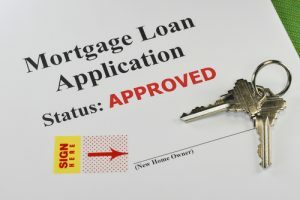 As popular as lender programs are not every borrower can get approved. There are still strict guidelines in place and a mountain of documentation that has to be provided. With a strong credit score, significant down payment and low debt to income the process can seem as easy as it has ever been. However, if there is even the slightest blemish you need to have everything in place well before you consider making an offer. The more organized you are with your loan items the easier the process becomes. If you are considering applying for a traditional mortgage here are five actions you need to take. Review Your Credit Report. Regardless of what type of loan program you are considering everything revolves around your credit report. If you are considering bank financing the very first thing you should do is obtain a copy of your credit report. For starters this will give you an idea of your score but it will also provide you with all of the liabilities and negative items. If you haven’t looked at your credit report in some time there may be old accounts on there that catch you off guard. One erroneous account or old collection can single handedly pull your score down. The quicker you can get a jump on removing them the quicker your scores will improve. Starting this process after your offer is accepted may not give you enough time. The difference between a 690 score and a 722 can not only impact your interest rate but your approval as well. Deposit Funds ASAP. Loan guidelines for investment loans are different than traditional single family purchases. In addition to stronger credit score requirements investment loans require down payment funds to be seasoned for at least sixty days. Simply put this means the money needs to be in a dedicated account for two months. If you plan on pulling money from a stock account or anything else you need to do so as soon as possible. Lenders have strict guidelines regarding how long the funds must be in the account for. It is not enough to have them available. If they are not in the account for a full 60 days you will not be able to move forward with the application. In addition to the down payment amount the lender may ask for a few additional months of the mortgage payment for reserve funds. The bottom line is that if you are considering using a bank you need to put all of the funds in one account before you start your search. Pay Down Debt. If your score is dangerously close to the acceptable level you need to focus on how you can give your credit a quick boost. If there are old items on your credit report you can get them removed and have your score updated in as little as 30 days. However, this only works for legitimate accounts. The only other way to quickly improve your score is by paying down your debt. The amount of available balance is second only to payment history when it comes to calculating your credit score. The lower your balance is in relation to your maximum balance the higher your score will go. First look at situations where a balance transfer makes the most sense. From there you should consider pulling funds from your bank account to pay down accounts you are maxed out or near maxed out on. The sooner you can lower your debt the sooner you will see the impact on your credit score. Review Bank Statements. With every loan submission you are required to supply at least two months of bank statements. In addition to verifying the deposit amount you will also need to document any large deposits and withdrawals. A large majority of real estate investors are self-employed and deal largely in cash. This can create a problem when it comes to verifying items on the bank statements. Start by looking for any item over $500. Determine where the funds came from, or went, and write down an explanation. If your offer is accepted you will need to write a letter of explanation for each item and possibly supply cancelled checks. It is a good idea to have your lender review your statements and tell you exactly what you will need to provide. Shop Around. Long gone are many of the loan programs from last decade. Almost all local banks have the same set of investor programs. There may be some slight change in the interest rate but the programs are basically the same. If you are looking for an investment loan your best bet is to shop around and find as many different options as possible. The best way to do this is through a local mortgage broker. Most brokers have access to dozens of banks with several different programs. All it takes is one to be a good fit for you and what you are looking to do. Before you commit to anyone you should talk to at least three different companies. Instead of having them pull your credit you should come armed with your credit score and bank statements. Ask about specific programs and guidelines and find the person or company you are most comfortable with. There are many advantages of using lender financing. The key is to find the right program for your credit profile. After your offer is accepted is typically too late to change gears. Get everything in line before you start your property search.